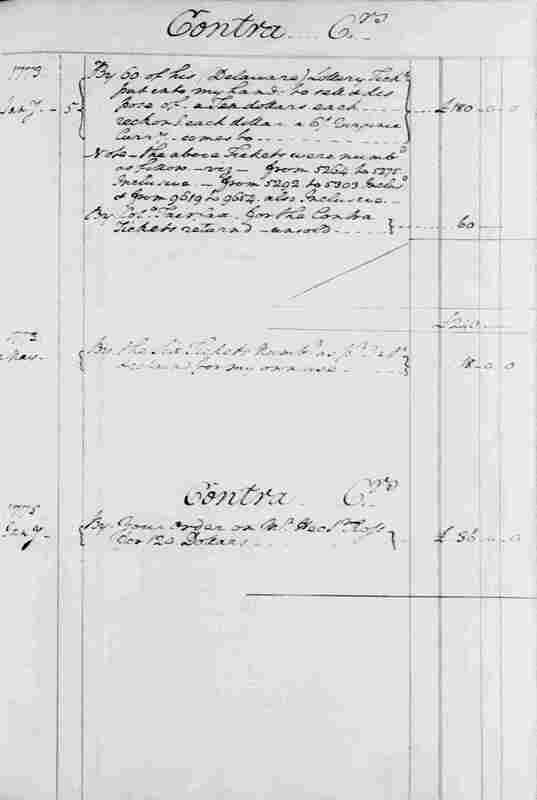 Lines 2 and 9 - In early January 1773, William Alexander, Lord Stirling, visited Mount Vernon in order to promote a "Delaware Lottery" that he wanted to hold in an effort to solve his financial difficulties. Stirling left GW with 60 tickets, six of which GW kept, and 12 of which GW gave to Anglican minister Walter Magowan, who was to sell them in Maryland. 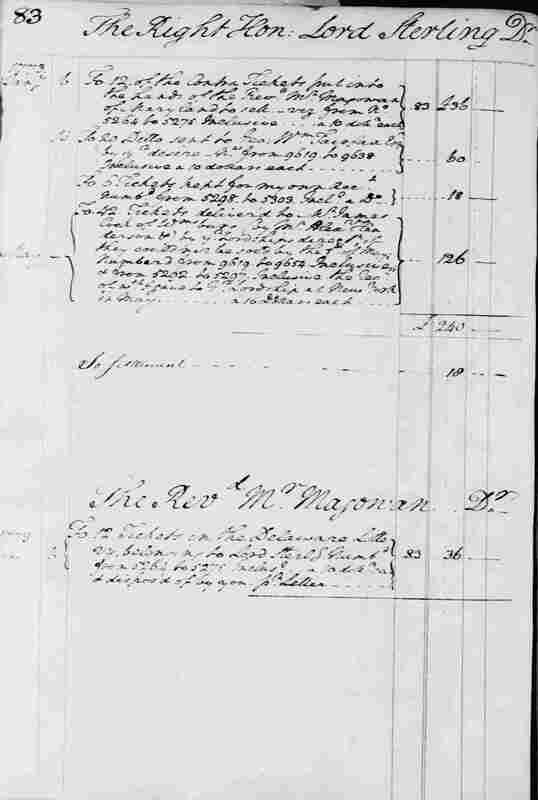 In a letter of 9 May 1773, Magowan, who had also visited Mount Vernon in early January 1773, informed GW that he had sold all twelve of the lottery tickets. The Delaware lottery was not held until September 1774, and the venture proved to be unsuccessful. Stirling lost money as a result, and he later repudiated the results of the lottery and refunded money to those who had bought tickets. See Diaries, 3:153-54 [Rotunda | Founders Online]; see also Walter Magowan to GW, 9 May 1773 [Rotunda | Founders Online | Print (Colonial Series, Volume 9, pages 230-31)]; Lord Stirling to GW, 31 Oct. 1774, and n.1 to that document [Rotunda | Founders Online | Print (Colonial Series, Volume 10, pages 175-76)]; and Alexander Hamilton Smith to GW, 31 March 1775 [Rotunda | Founders Online | Print (Colonial Series, Volume 10, page 313)]. 2 [*] 1773. Jany 6. 9 [*] 1773. Jan. 6. Note—the above Tickets were numbd as follow—viz.—from 5264. to 5275. Inclusive.—from 5292. to 5303. Incluse & from 9619 to 9654. also Inclusive.